“Shamal Wind”, the celebrated second album by UK flautist and sax player Chip Wickham gets revisited by three producers cooler than the other side of the pillow, hailing from London and Berlin. Max Graef, Reginald Omas Mamode IV, and Ishmael Ensemble get their hands on the tracks of one of the jazz albums of the year and come up with four epic remixes. Max Graef, who’s just put out some excellent releases on Tartelet Records and Apron Records, delivers not one but two remixes of “Soho Strut”: the laid-back, percussive and bleepy Bongo Mix, and the trippy, speedy-not-speedy Bass Mix. “Rebel No.23″ gets renamed “(Soul) Rebel 23″ by 22a’s Reginald Omas Mamode IV, referencing Bob Marley in an exquisitely soulful and fuzzy rework featuring Reginald’s own added vocals. And finally, Pete Cunningham and his Ishmael Ensemble mix up the original tracks and additional instrumentation on their titanic, trance-inducing version of “Snake Eyes”. 2018 has been a busy year for Chip Wickham. In May he released his second solo album, “Shamal Wind”, after which he went on tour with his own band and also as part of his friend Matthew Halsall’s Gondwana Orchestra, celebrating Gondwana’s 10 anniversary all over Europe. 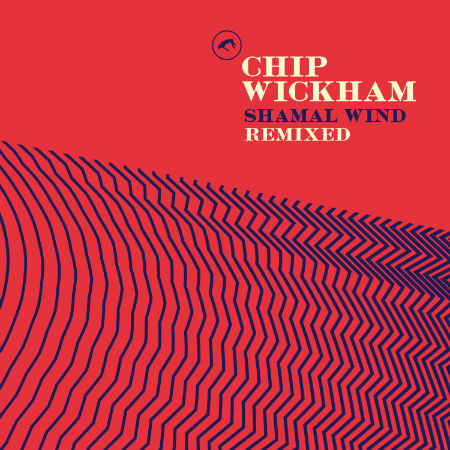 Over the years, Chip Wickham has played and collaborated with an impressive string of artists, from Nightmares On Wax and Badly Drawn Boy to Grand Central Records, Roy Ayers, The New Mastersounds and Matthew Halsall. In 2017, he released his debut album “La Sombra”, followed by “Shamal Wind” a year later. Both albums got heavy support from the likes of Gilles Peterson, Laurent Garnier, Craig Charles, Jez Nelson, Gideon Coe, Toshio Matsuura, Lefto, and Dom Servini, to name a few. Apart from playing out his own work, in 2017 and 2018 he toured with Matthew Halsall, and American spiritual jazz kingpin Dwight Trible.